As the final part of our three-part piece 6 Qualities Your Electric Blanket Fire Lawyer Should Possess, here is the conclusion to our discussion. While screening potential attorneys for these qualities can help you pick the best lawyer for you, when you are ready to move forward with an electric blanket fire claim, you don’t have to look any further than the Law Office of John Gehlhausen. While, on paper, an attorney may seem to have the experience, credentials and qualities you are looking for, one of the truest measures of his or her skills will lie in his or her record of securing compensation for his or her clients. 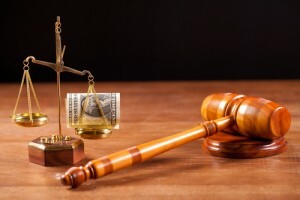 As you look into this matter, you can check out any information about recent past verdicts on his website; better yet, however, set up an initial consult – these are usually free – and directly ask an attorney about his track record of success. An experienced electric blanket fire lawyer should be ready to provide you with direct answers about his track record of securing settlements and may even offer you some phone numbers for references (i.e., past clients) who you can call and talk to further (if you would like to do so). It’s essential to note here that you should be weary of a lawyer who doesn’t give you forthright answers about prior verdicts or his record of success. This can mean that the attorney hasn’t been effective at helping others get compensation for their electric blanket fire claims. Finally, you should make sure that any electric blanket fire lawyer you consider hiring is someone who you trust. You need to have confidence in the fact that your attorney will always be an advocate for you, so make sure that you feel 100 percent comfortable in that professional’s abilities, answers and credentials. If you get a bad vibe from a particular lawyer or feel uneasy about moving forward with him or her, trust your instincts and look for a different attorney to handle your important legal matters.